When you connect to the Internet, your all requests go through a DNS address. Usually, Your ISP provides it. But, Can you change the DNS settings on Windows when needed? Yes, You can. Go through this article to know how to do it. The full form of DNS is “Domain Name Server.” When we visit any website from our computer, the request goes to that server and it translates the web address into Internet Protocol (IP) address. So, We see the website contents on our computer. The DNS acts as a phone book or information hub. There contains millions of web addresses information. If the DNS doesn’t work properly, we can’t visit any websites. Generally, Users don’t modify DNS settings. By default, They use ISP provided configurations. But, Some users need to tweak it in some cases. For example, Your ISPs DNS server is down or not working fast. In this case, You must use another to get smooth internet experience. In Windows 10, You can do it very easily. There are two ways to change DNS addresses on your PC. You can do it with or without any third-party programs. 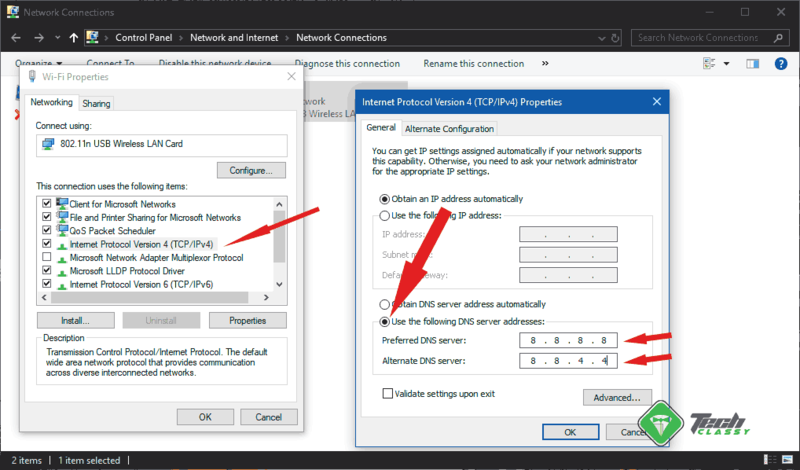 It is the most common and most used method to change DNS addresses on Windows 10. The process is very easy. All you will have to do is go through the steps below. First of all, You will have to go to network connection window. You can go there by navigating to Control Panel\Network and Internet\Network and Sharing Center and then click on Change Adapter settings. But, The easier way is using a command. You can just open the start menu, type ncpa.cpl and hit enter. It will open network connections window. Now, Right-click on the connection you are using and go to properties. For example Wi-Fi or Ethernet. Then, Double-click on Internet Protocol Version 4(TCP/IPv4). Now, Set your preferred DNS addresses. For example, If you want to use Google public DNS, the addresses will be 8.8.8.8 as primary and 8.8.4.4 as secondary. Open DNS addresses are 208.67.222.222 and 208.67.220.220. After doing all of these things, save the settings and restart your PC. By this way, you can change DNS settings on Windows 10 without any third-party tool. If you think the manual method is boring and you don’t have that much time, you can use a third-party tool to get your job done. 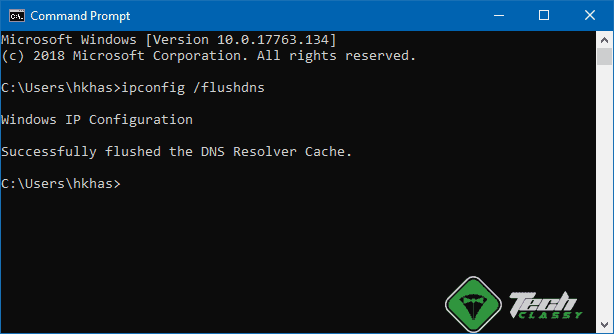 There are several tools that can change DNS settings on a Windows 10 PC. Now, You will know about a few of them. It is one of the best free tools that can tweak your DNS settings on your PC. So, It is popular among the users. To use it on your computer, follow these instructions. At first, Download DNS Jumper from here. Now, Open it on your PC. Then, Select your preferred DNS server from the list or you can set custom address. After that, Click on Apply DNS and then, Flush DNS. NirSoft has developed a free tool called QuickSetDNS. It is another excellent tool to modify DNS settings on your Windows PC. It is also easy to use. To use it, follow these steps. At first, Download QuickSetDNS and open it on your PC. To add custom DNS, just click on File and choose “New DNS Server” and type your DNS addresses. Also give it a name. Then, Save it. 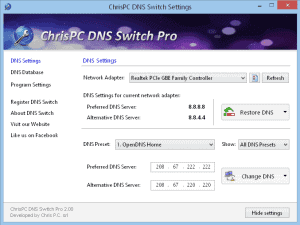 Download ChrisPC DNS Switch from here. Your DNS changes won’t take effect until the existing DNS settings remain cached on your PC. Restarting can flush it automatically. But, You may not want to restart. Because You have a simple way to flush DNS. To do it, follow these instructions. At first, Open the start menu, type cmd, and press enter. It will open the command prompt. Now, Type ipconfig/ flushdns and hit enter. Some third-party tools have the option to flush. But, If you change DNS manually, you should do it by yourself. I hope this article will help you.